Earlier this spring, we had a period of heavy rain combined with melting snow. This led to the increased volume of water over our waterfall. 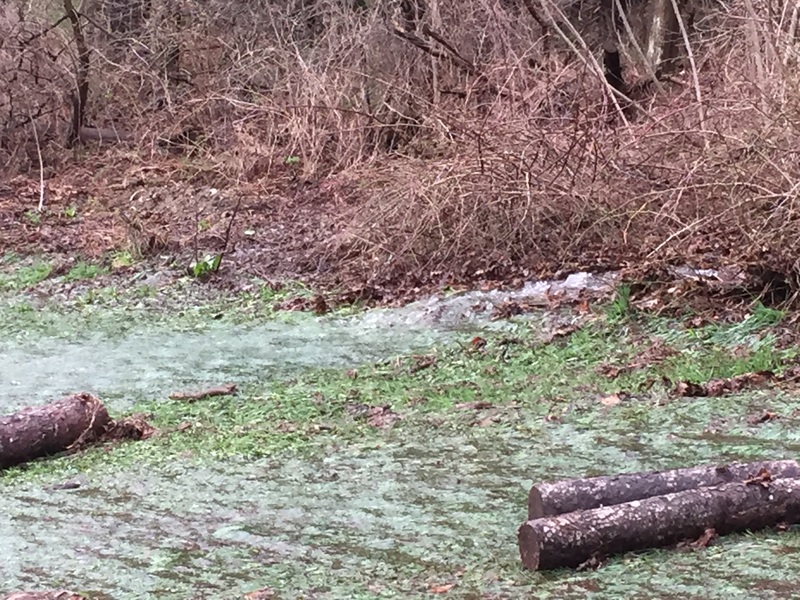 However, it was too much water for the small creek bed to handle within its banks. The creek burst over its banks at the bottom of the mountain and flooded out into the pastures. 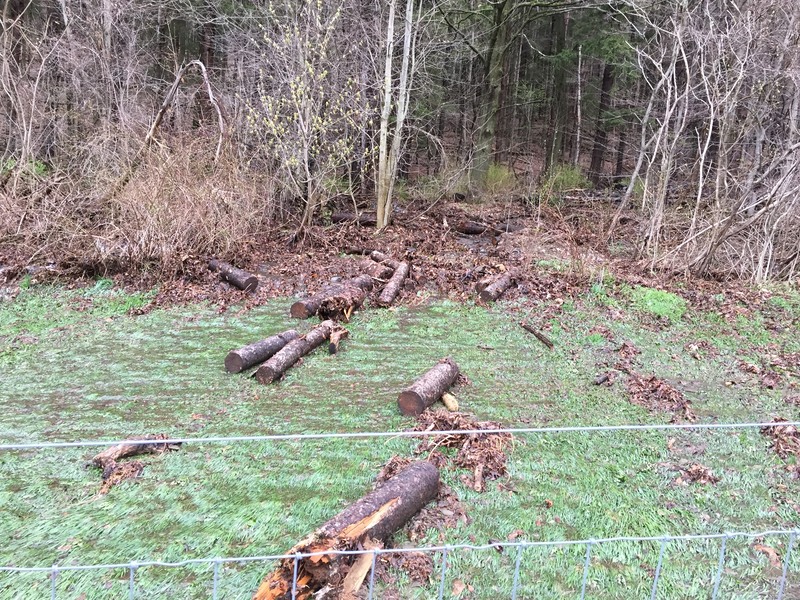 There was some minor flooding the prior year in the same location so I had attempted to block the channel that flooded with piles of logs from downed trees to divert the water away from the pastures. It didn’t work. There was so much water that it simply pushed all of the logs out of the channel into the path behind the pastures. It even pushed some of the logs several hundred feet away. The water also carried a lot of sticks, leaves, rocks and mud (also several golf balls!?). A lot of this debris was caught in the pasture fence. The debris blocked the bottom portion of the fence for at 3/4 of the way along the entire back fence line. In some places,the mud and leaves was more than 6 inches deep. Even with assistance from visitors, we haven’t been able to clear the entire fence line yet. Water flooding out of the creek.